3. Which of Eddie's parents, if either, are supportive of Eddie's dreams of Olympic glory? 4. Young Eddie tries to take up track. Which pursuit is he not shown failing somewhat comically at? 12. Where does Eddie seek out the other jumpers, rather awkwardly, for advice? 28. 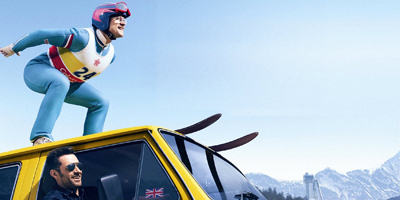 Which of the following is not true of Eddie getting the Eagle moniker?